A few weeks ago I posted what has become my most heavily debated post thus far, where I asked whether or not jeans make suitable travel clothing. As much as I like to be an ultralight minimalist, jeans are just way more comfy than regular pants, look nice all the time, rarely need washing, and aren’t all that heavy anyway. But I’ve also pointed out that this debate is stupid to begin with, because all you have to do to make travel jeans is take performance fabric, dye it blue, and sew a pair of jeans out of it. The fact that no one does this destroys my faith in humanity. The idiot stupid dummy morons that run the travel clothing industry actually decide to make their items look like safari expedition gear. They don’t just magically accumulate those extra pockets and zippers on their own, you know. Travel clothing need not be ugly! As I have said a million times, when it comes to lightweight travel, form is function. Instead of carrying 3 sets of functional clothing and 3 sets of fashionable clothing, you could just bring 3 sets of do-it-all stylish gear that works just as well at an ill-fated attempt to impress the ladies as it does on a hike up a mountain that reminds you how incredibly out of shape you are. Fashionable clothing actually is functional clothing, since when you’re backpacking, looking presentable can be just as important as feeling comfortable. Outdoor clothing companies seem to be either blissfully unaware of this, or actively reject the idea of making fashionable clothing since they (incorrectly) don’t view it as functional. And so my eternal struggle continued, until such a time as I was introduced to Bluffworks, which actually makes travel pants that look like regular pants. They’re jeans-styled khakis, and although they don’t (currently) come in denim blue, khakis are great all-purpose travel pants, and the jeans-style pockets won’t drop your camera onto the concrete whenever you sit down. Notice how the fabric accentuates my already exquisite physique. Ordinarily I wouldn’t bother reviewing specific products, particularly clothing, since new styles come in every year and the information gets outdated anyway, but this is a tiny company that probably won’t churn through one style after another, and the owner has agreed to give me his firstborn child in exchange. Welcome to the family little guy! Bluffworks currently only makes one pair of pants: An ordinary-looking pair of pants with jeans-style pockets, made of 100% polyester, in shades of khaki and grey. 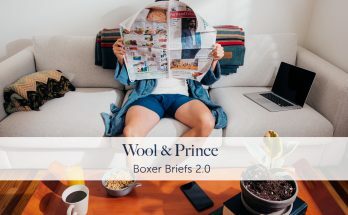 They were developed as office wear, but with performance properties, so you wouldn’t have to spend all day ironing your pants instead of doing more important things, like playing video games. With a button-up shirt, they look like office pants. With a t-shirt, they look like casual pants. In fact, they look incredibly normal, which is what clothes are supposed to look like in the first place. But since I won’t be going to the office in them (or, hopefully, ever), I was equally concerned with how they’d hold up on a serious backpacking adventure, especially when compared side-by-side to a typical pair of hiking pants which I plan to bring along all over the world. I wore them in the sun, took a nap in them, wore them several days in a row, washed them in the shower, hung them up to dry overnight, and spilled liquor all over them. Basically, everything I’d be doing while backpacking anyway. I have exceedingly lofty expectations for The Perfect Travel Pants, and often leave the camping store empty-handed due to my exceedingly high standards of wanting things not to be awful. Apparently that’s somehow spectacularly difficult. I often have to make do with mediocrity, particularly when it comes to appearance, compromising fashion for the sake of performance features, which I find to be a prerequisite for ultralight backpacking. Until these showed up in the mail. Bluffworks pants are still new, so no blue so far. But they’re still good. These pants are great. They have only confirmed my arrogant notion that all outdoor clothing manufacturers are idiots who have failed to capitalize on the demand for snazzy-looking performance clothing that holds up to the rigors of round-the-world travel without looking silly at the same time, and all casual clothing manufacturers are idiots for not employing easy-care performance fabric in their creations. These work like hiking pants, and they look like regular pants. It’s the perfect combination that everyone else should have been doing this whole time anyway. Fabric: The first thing I noticed was that these pants feel significantly more substantial than typical hiking pants, which often feel wispy and paper-thin when compared to ordinary clothing. These feel much more like regular pants, while still being lightweight and easily packable. They also appear textured, kind of like a pair of wool dress pants or denim, due to the sheen of the fabric. It’s quite classy. They’re also rather frictionless, and move more easily than other hiking pants I own, which can feel sticky in hot weather. Features: These pants have jeans-style pockets, and that’s it. Change and phones won’t fall out of them. I actually refuse to buy pants with vertical pockets because I can’t stand seeing my hard-earned cash fall out onto the floor because of silly pocket engineering. I will say that the back pockets are smaller than I was expecting, though they’re still plenty big enough to fit hands or wallets or whatever. They’re just a bit less voluminous than your typical Levi’s. Appearance: Did I mention they look like regular pants? Because they look like regular pants. Did I mention how hard it is to find travel pants that look like regular pants? Because it’s stupidly difficult to find travel pants that look like regular pants. These have no extraneous zippers, no random useless pockets, no gigantic logo to turn you into a walking billboard for some company that you don’t care about. They look normal! Performance: They do everything they say they can do. They don’t wrinkle, they can wash in the sink and hang up to dry overnight, they feel comfortable even in hot weather, they can handle some rain without getting soaked, and they look good the whole time. They work like hiking pants. Construction: They’re quite well made and they’ll take them right back if you don’t like them. But I doubt that’s going to happen. They aren’t cargo pants: Some backpackers prefer to have as many pockets as they possibly can, and they can be quite useful for carrying all sorts of things, whereas these were made to be office-appropriate. Chances are that if you prefer cargo pants, you’ll probably pack a nice pair of classy pants as well, and these will serve that purpose quite nicely. I think four pockets is plenty, but it’s something to think about if you prefer to carry extra cargo. They don’t come in blue: The point of this whole tirade was to find travel jeans, and these are performance khakis. Pleased though I am with what they are, I will be very annoyingly lobbying Bluffworks at all hours of the day and night to make a version in denim blue, after which I shall purchase several of them. They’re not stretchy: This is a matter of preference, and after owning quite a few pairs of stretchy pants, I think stretchiness is overrated. This is especially apparent when sitting on a 12 hour bus ride in body-temperature weather. Stretchy pants won’t move with you; they’ll stretch to accommodate your movements. Unless they’re skin-tight, your body will move inside them while they stay in place against the seat, putting more pressure on you than a pair of non-stretchy pants which will simply move with you as you move around. But I thought I’d mention it. No zippered pockets: Travel pants often have a “security” pocket for carrying passports or cash, and these don’t. On the upside, the front pockets are infinitely more secure than typical slash pockets found on khakis, and you’ve got two of them. Synthetic fabric: Some people might prefer the feel of natural fibers, and this is 100% polyester. On the other hand, I’ve never seen anything dry overnight except 100% synthetic clothing, and this material feels more “normal” than typical hiking pant fabrics. But if you prefer natural fabric, you’ll probably own plenty of jeans already anyway. They’re only for men: Sorry, ladies. Whatever, though. Now that yoga pants have become socially acceptable I have no sympathy for you. These pockets are a little narrower than normal. They can’t fit huge things, but they keep your wallet from rotating to horizontal. These are great pants. I very much intend to expose them to all sorts of ridiculous adventure scenarios and then wear them to a wedding or something. I wouldn’t mind seeing this fabric employed in a cargo pant version, though I wouldn’t change a thing about these, except that I’d like to see them in several different shades of blue, which would finally settle the travel-with-jeans debate once and for all. And nope, I didn’t accept any money for any of this (though the coupon didn’t hurt). I am merely a frequent complainer who finally found something he can’t complain about. You can visit Bluffworks to see them for yourself, along with vastly superior photography. Anyone else own these? Feel free to share some thoughts! I’ve always worn standard jeans for trips. Currently I use Lands End ones with a flexible waist. This allows movement I don’t get in other jeans. Plus they’re a bit baggy and I stay cooler in them (and my knees don’t “catch”). Sure they dry slow, but I’d rather the toughness and pockets that hold stuff than what I’ve seen in outdoor shops (sweat tubes :)). As long as you don’t fall in the mud, they’re probably fine. I’m just happy to have found something that works for ultralight travel and still looks perfectly normal. Glooop. I haven’t had the pleasure of that experience yet. I don’t think the Bluffworks stuff is available in the UK. They’d be so expensive, that I probably couldn’t afford them. I’ve always found polyester trapped heat, maybe these are different. I think you guys have Rohan in the UK, so you’ve been able to get nice-looking travel clothing for a while. 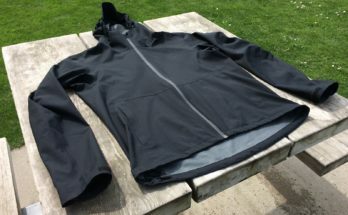 And yeah, polyester can feel warm, and many natural fabrics feel a little better, but it can be tough to wear them in the rain or wash them in the sink. It’s hard to find a middle ground, though things like these are quite nice. Yeah, Rohan have similar, including “Jeans”, at 110 dollars a pair is a bit over the top. I pay around the equivalent of about 65 dollars for the Lands End ones and I get the elasticated waist to boot. Perfect! I will be giving these a try. I thought I was the only one who hated travel pants. They’re made by idiots it appears. My plan is to publicly shame all outdoor clothing companies until they cave in and make things that don’t look awful. I completely agree, why is it so difficult to find stylish travel clothes? These pants look good though, sort of like linen pants but without the terrible wrinkles. Yeah, pretty much. I’ve seen a pair of pants made of linen and polyester that was supposed to combine the qualities of both, but I never tried it in person. I was all excited to check these out – but it looks like they don’t have women’s sizes. Oh, well. Guess I’m sticking with my jeans for now. Yup. They’re pretty new, so ladies might have to wait a while, or make do with men’s sizes. I cannot go anywhere without my jeans. I know that they take longer to dry than other trousers but I feel comfortable with them. I am always open to suggestions for new kind of trousers though, cheers for sharing! I just got my hands on the new version, and they have extra features that are great for travelers. I’m going to do a thorough review pretty soon, but they’re good too. …except that it seems they don’t make them with the “jeans style” pockets any longer? At the moment that’s correct. I think it’s because they’re still a small company, so they’re working on just one product at a time, at least for now. And as much as I love jeans-style pockets, the new version is objectively better. It has 6 pockets (2 of which are zippered), compared to this version’s 4. But I’d be happy to see both versions available at some point. I recently bought a pair from Hickory Outdoor, which are blue as in blue-jeans-blue, very comfortable outdoor-pants that look like normal pants. I used them on a few hikes, so far they are really good. Great article, my thoughts exactly on travel pants that look like you are a Jungle Jim wannabe from a B grade movie. Thanks to your review I have just ordered 2 pair for my upcoming trip to Morocco, Spain, Italy & United Arab Emirites. I bought some of their new version. They look great. They’re also very much a dress pant fit — when I sit down my slightly athletic legs mean they’re stretched out tight over my calves and quads, which is a little uncomfortable. On the plus side, that means my girlfriend really likes them. They look fantastic when I’m standing up. I’m looking forward to that as well, as I was just barely in between sizes, and decided to go with the slightly slimmer one. It works, but it’s a little snug sometimes. I’ve always put my phone in my front pocket, so I use the back pocket as a hidden wallet pocket or something like that. Phones are also getting bigger and bigger, so all sorts of clothing and backpack designs need continuous updates. I have tried the Thunderbolts Originals and they are amazing. I wore them for an entire weekend at home and nobody noticed I wasn’t wearing jeans. They are even better outside in the elements.